After the fateful ‘Chequers weekend’ in July we asked our readers whether the Tories should call a vote of no confidence in Mrs May. Your answer was a resounding Yes, by 90 per cent to 10 per cent. Today the question has become even more urgent. Far from chucking Chequers, Mrs May has stubbornly carried on with this betrayal. It is an issue of trust and competence, whatever she persuades the Cabinet to agree to. Having landed us with the Irish backstop problem (and despite the ease with which it can be solved), does allowing her to continue the so-called negotiations risk not just Northern Ireland, but the UK as a whole staying in the Customs Union for ever? Our question to you today is this: Should the members of the European Research Group get on with it and try to oust her now before it is too late? 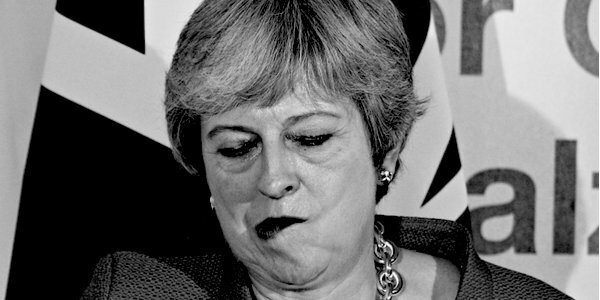 Should Brexiteer MPs call a vote of no confidence in Mrs May now?